Eastern European cuisine is beautiful in its simplicity and can be a genuine joy to explore for those foodies who find themselves on this part of the continent. 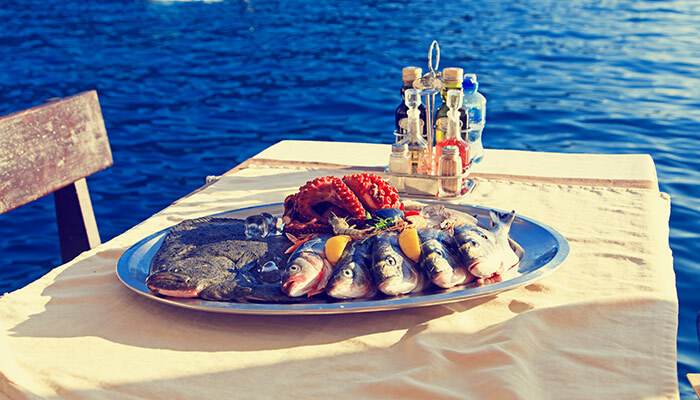 Particularly tasty are the offerings from Croatia, which places a particular emphasis on the use of fresh ingredients and simple recipes done well. Succulent meat and vegetables plucked straight from the ground - these are the hallmarks of a good Croatian dish. And towards the coast, incomparable seafood dominates the restaurants, including silver scaled fish sparkling iridescently in the sun. In short, it's an incredible place to grab a meal. Take a look at our favourite dishes. It's certainly easier to eat than pronounce, although you'll need the tongue for both, of course. You will find prsut pretty much everywhere throughout Croatia - this dry-cured ham is eaten on all occasions and the locals take great pride in it. It's often served with paski sir, a cheese made entirely from milk produced by sheep grazing on the local island of Pag. Together, it's a formidable pair to the taste buds. A method of food preparation that is incredibly famous throughout Croatia. You're up for a real treat if this is on the menu - the chef places meat (generally lamb or octopus) and vegetables into a pot and cooks them under a heavy metal cover, upon which coals are placed to allow for even cooking. There is no stirring and the flavours mingle together in a way that tantalises the taste buds and pleases the soul. We guarantee you will not be disappointed. Generally served as a starter, this relish is made from aubergine, pepper and chillies. It's particularly great with grilled meat, but remember to ask the chef how spicy it is as the preparation methods vary massively from restaurant to restaurant! 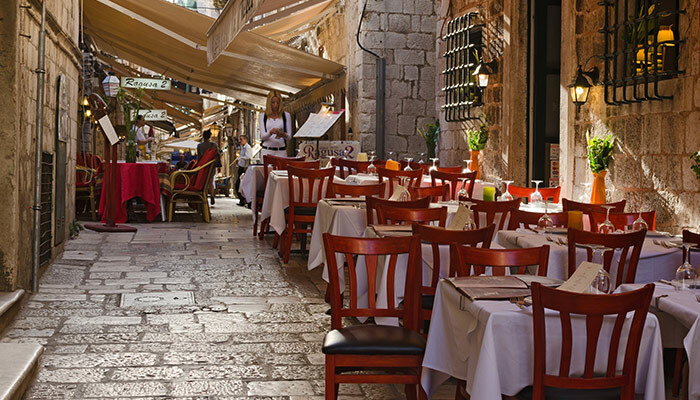 One of the best aspects about Croatian food is, thanks to the way the country is situated, it has received influences from all of Eastern Europe. These meatballs were originally brought here by the Ottoman Empire. They generally consist of fresh meat rolled into five to ten pieces and served with a variety of flatbreads. Basically a sauce, Buzara is one of those things that you'll find on every menu, particularly near the coast. If you order a seafood dish, chances are it will be cooked in this. But despite its popularity, you won't get bored - it's made with olive oil, garlic, breadcrumbs and fresh tomatoes. The end result surfs across the tongue like the silkiest of wines. There is no better way on Earth to end a meal than rozata. A flan-like dessert made with a caramel custard and sometimes served with rum or cherry liqueur, this delightful creation melts in the mouth with a delightful consistency. If you have a choice in the liqueur, ask for maraschino, a cherry liqueur from Zadar that suits the dessert perfectly.